Choreographer du jour, Alexei Ratmansky has established himself as an elegantly inventive master of the modern evolution of dance and ballet. 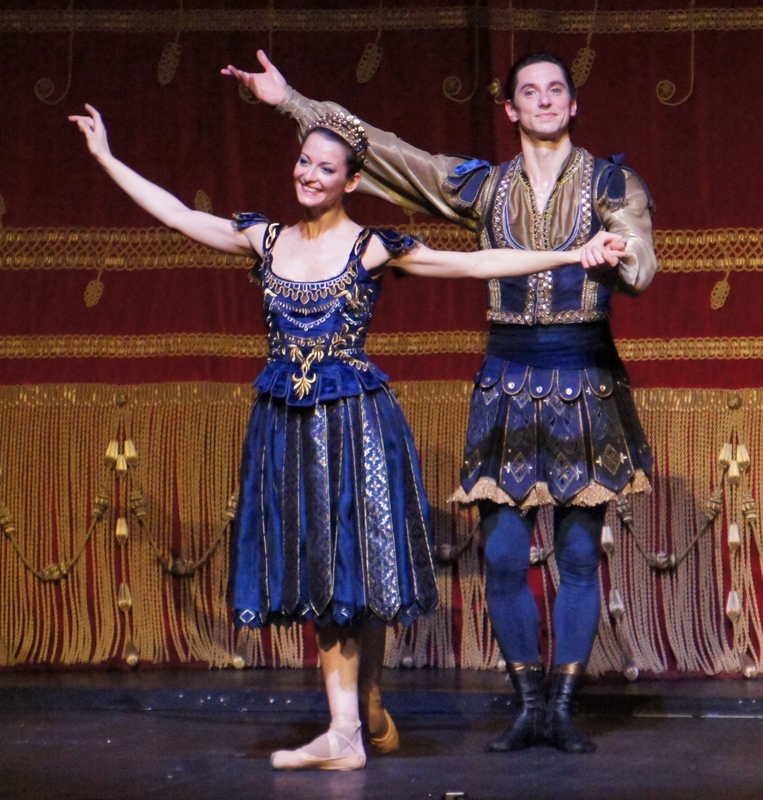 Internationally in-demand, Australian audiences were fortunate enough to be treated to his new production of Cinderella for The Australian Ballet in 2013. Russian Seasons is a serious work set to the music of Leonid Desyatnikov. Soprano Alisa Zinovjeva enhanced the feeling of several sequences, singing with a tone of plaintive longing. Laura Marzadori on violin further complemented the air of melancholy. Six pairs of dancers, perhaps representing young couples and friends, dance a series of movements, alternating between work and play as time progresses. The women in simple summer dresses, the men in very loose long sleeve tops and pants, each pair is completely dressed in one of six colours: amber, teal, blue, purple, fuchsia and burgundy. The colour coding has a clever effect in creating a subtext of sorts, in that there is a feeling that each dancer belongs back with their partner when the combinations are mixed in the various dance sequences.The stage is free of scenery, with a full size scrim on the rear lit with different colours as the “seasons” go by. As seen in the photos, the amber couple end up getting married, to the delight of their friends. A relatively simple but effective ballet overall, which sets a tone of quality for the evening. Concerto DSCH continues with the same bare stage, placing the attention and emphasis squarely on the dance. Costumes are of a similar colour palette, although are more tightly fitted for this piece. 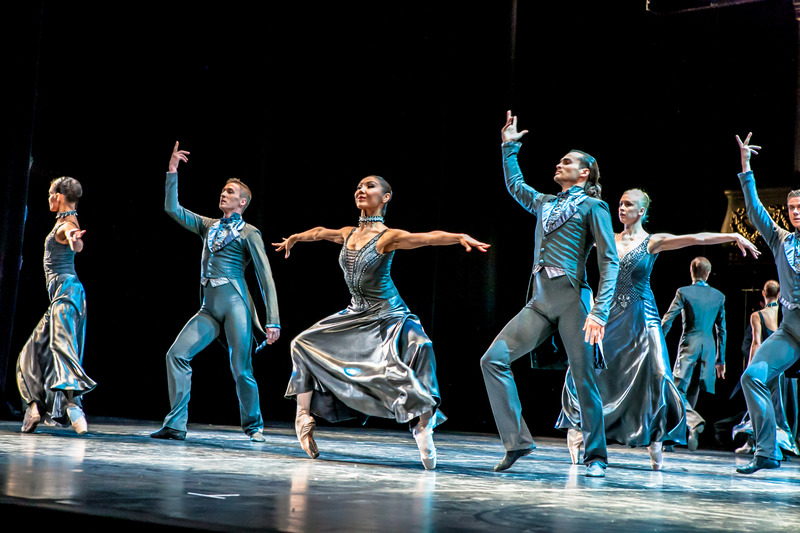 The relatively short ballet has an abstract feel, and features five soloists supported by quite a large corps de ballet. The first and third movements have a playful, energetic feel, whilst the middle section cultivates a more leisurely, highly romantic feel. The music of Dmitri Shostakovich is used to grand effect. For the third act, a premiere work for this season, we return to the music of Desyatnikov. 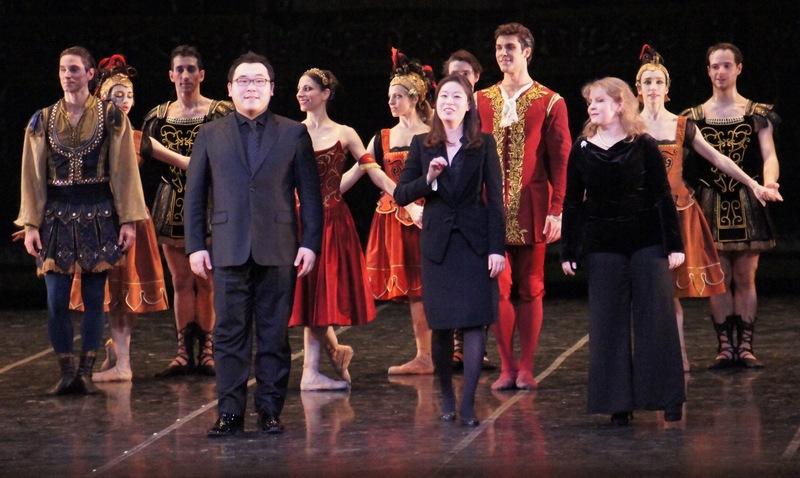 Opera has a very Mozart-like harpsichord and strings sound, the orchestra supplemented by the vocals of soprano Linda Jung, mezzo soprano Natalia Gavrilan and tenor Jaeyoon Jung. Housed in the pit, the voices of these singers rang out true and clear. 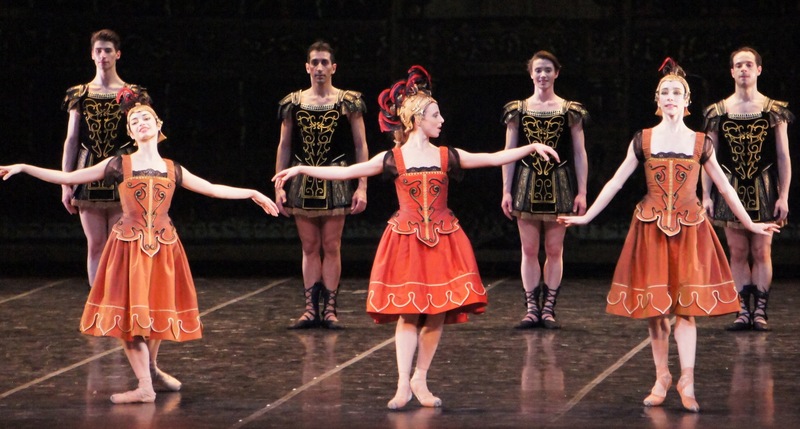 Without mimicking, parodying or replicating the plot or scenario of any particular opera, the ballet can be seen as a representation in dance of the style and sensibility of opera. Men in bold black and gold Trojan uniforms dance with women in militray-inspired outfits with red plumage. The rear cloth displays a range of striking operatic images such as angels and cherubs, stars and planets. 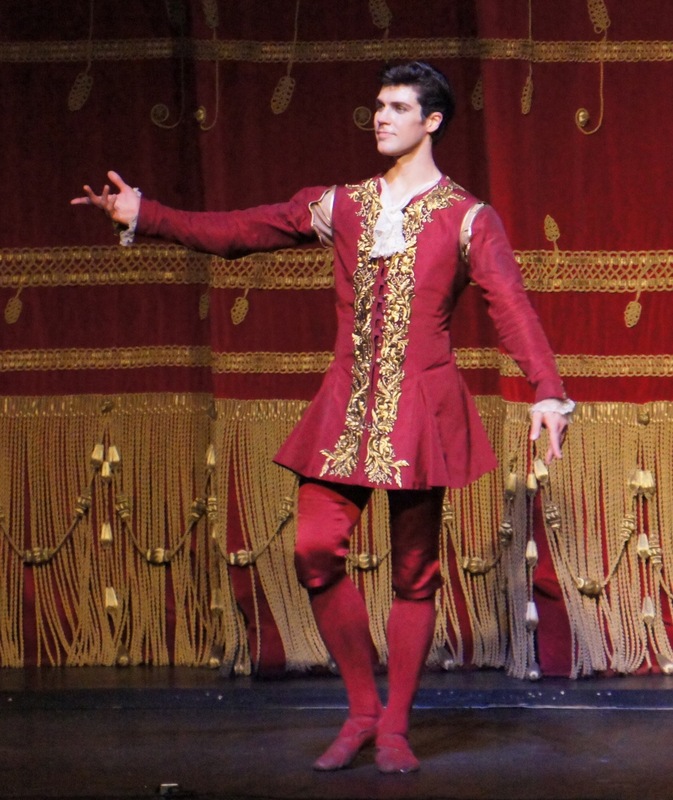 Of the four principals playing the two couples of the piece, Roberto Bolle is the star attraction. 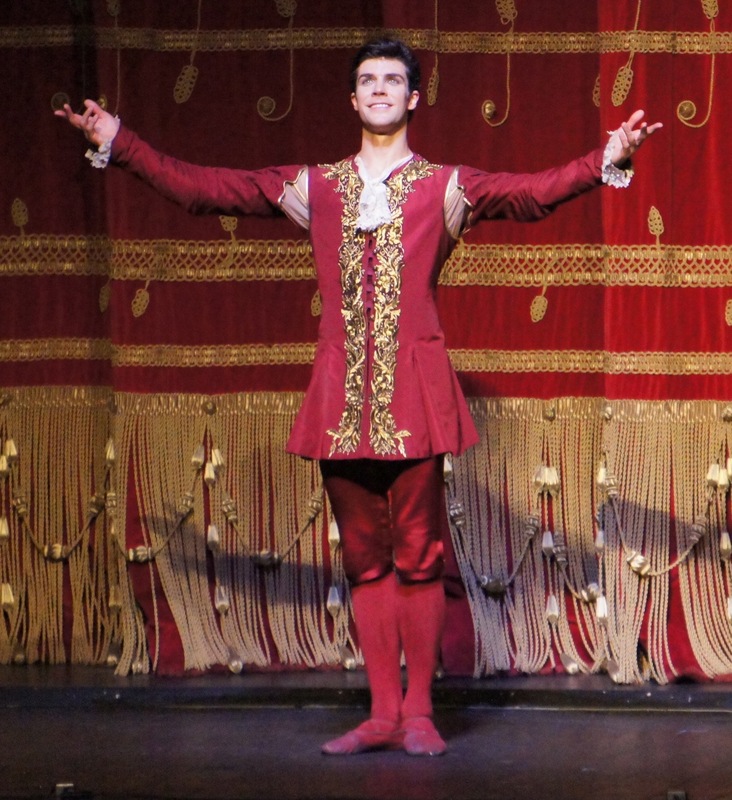 Looking spectacular in regal red, Bolle dances with his customary effortless grace and fluid male strength and beauty. 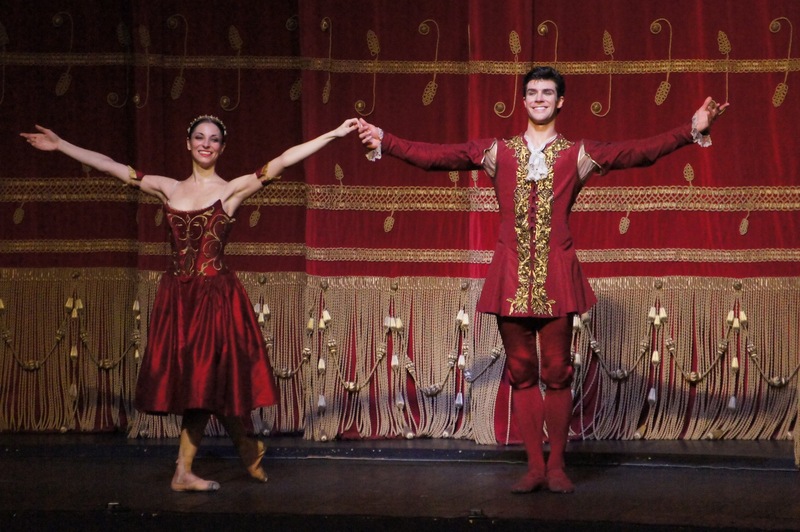 A favourite of La Scala audiences, Bolle received multiple curtain calls. 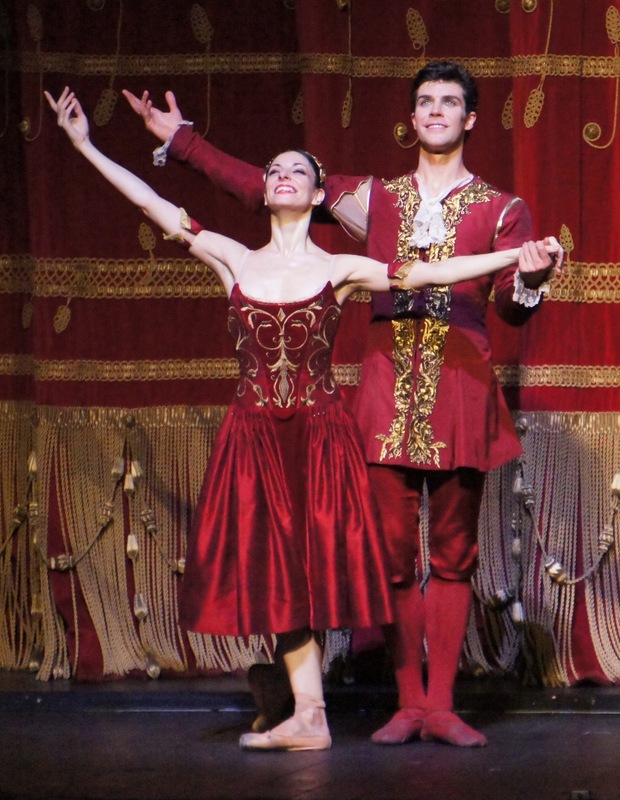 Perhaps I have been spoiled by my viewing of Royal Ballet’s Jewels this week, but overall Serata Ratmansky was found to be more admirable than entertaining. 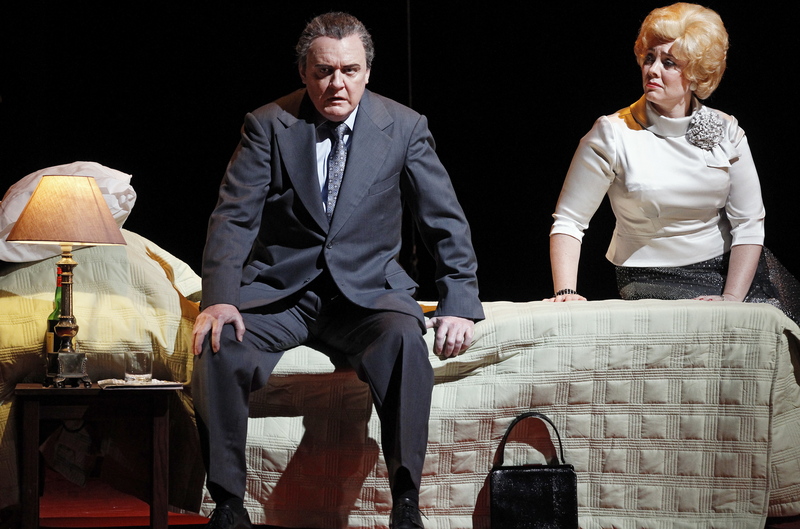 Serata Ratmansky continues at Teatro alla Scala on various dates until 16 January 2014 this review is based on the performance on 4 January 2014. 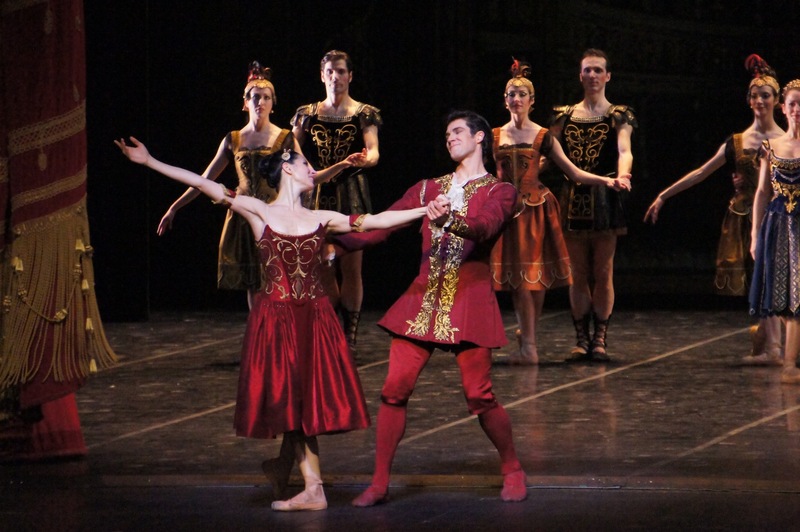 For production images of Serata Ratmansky click HERE.